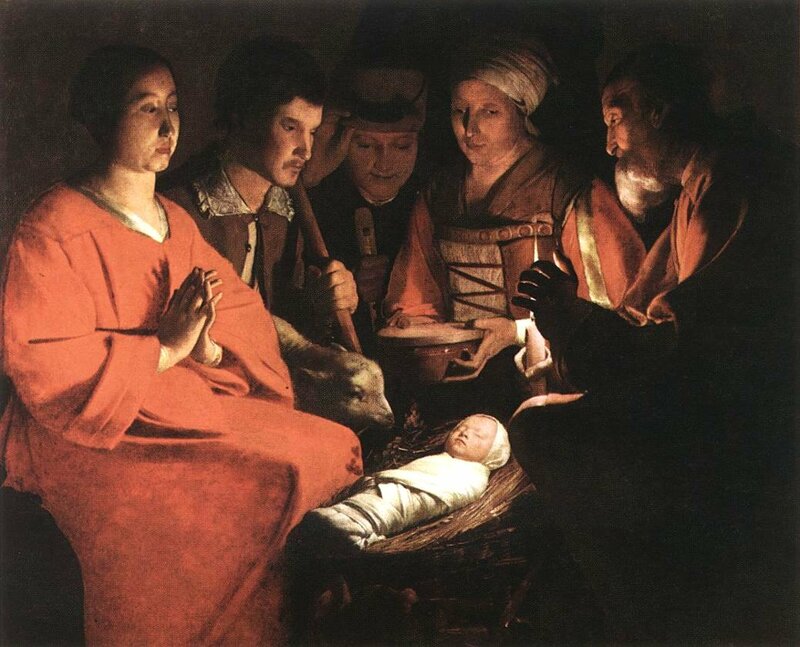 The Magi who came to worship Christ, are often depicted together with the shepherds. But their journey was longer: they came from a far country, and on the way visited in Jerusalem by king Herod. It was believed that between Christmas and the arrival of the Magi some time has passed and the gifts they brought not to the manager. Matthew writes that they went to a house in which, apparently, moved Joseph and Mary. The Magi were associated with the East, where they came from. In early depictions, the Magi often arrive on camels and wearing Phrygian caps that marked them as strangers. Later tradition attributed them names — Caspar, Melchior, and Balthazar — and the Royal lineage and their connection with the East were to indicate the luxury and extravagance of their costumes. Especially this subject was popular in Florence in the XIV–XV centuries, wherein 1370‑ies there was an organization called the Compagnia di magi (“Magi Society”). Like the brotherhood, organized by the laity, existed in the Middle ages and engaged in charity. In Renaissance Italy, their role in urban life was great, management were sufficiently large financial resources, trade places on hospitals, assistance to the less successful members of the fraternity, the construction of new buildings. “The society of the Magi” has become one of the most influential Florentine brotherhoods, and among the participants were members of the Medici family. Meeting of the brotherhood was held in the convent of San Marco. The main objective of the society was the organization of the processions in the feast of the Epiphany (the day the Catholic Church celebrates the adoration of the Magi). At first, the procession resembled a medieval mystery, to the XV century, they increasingly began to resemble the ceremonial parades. 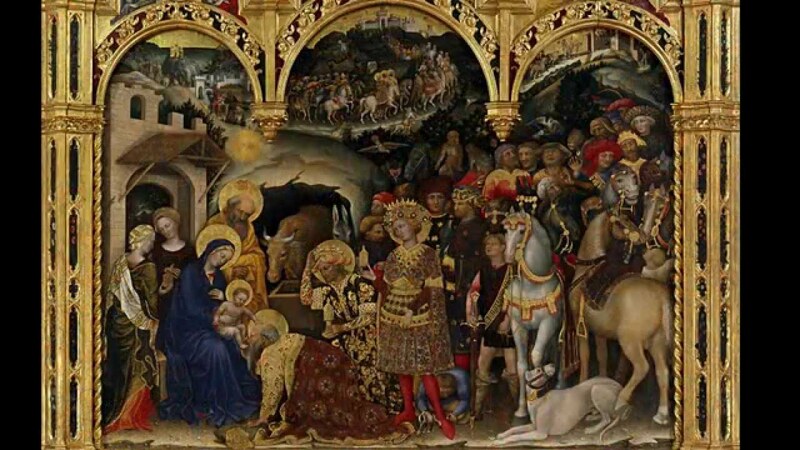 Rich Florentine family ordered the adoration of the Magi such artists as fra Filippo Lippi, fra Angelico, Botticelli, and others. Such order is demonstrated to others the welfare of the family, and at the same time justified his paintings and paintings was presented to the Church or placed in the family chapel. As the Magi, the customers were rich and just gave away part of his fortune to God. Gentile da Fabriano — the author of one of the most expensive “Worship of the Magi”, which was written by order of the banker Palla Strozzi, the richest man in Florence. The Strozzi you can see in the picture in the red turban, with a Falcon in his hand, behind one of the Magi. The decorative quality of this picture, many small details, flowers and beasts, the procession of horsemen, from castle to castle, graceful posture standing behind Mary’s ladies in which it is difficult to know the midwives, are reminiscent of the gradually receding into the past of chivalrous courtly culture of the late middle Ages. Be the first to worship Jesus the shepherds came. To portray commoners, artists didn’t need to turn to the images of the past: the viewer immediately knew who was meant. The ordinary peasants and we see Georges de Latour. Familiar to him daily is not only reflected in the appearance of shepherds but in the plot. The shepherds bring the baby their gifts — flute, shepherd’s crook pie. About these gifts, so different from luxurious gifts of the Magi, de Latour, likely knew of French Christmas music. There is about the shepherds going to see Jesus, list the gifts they bring him: lamb, flute, a glass of milk, and so on. This simple plot is combined with rapt, solemn yet gentle mood, which de Latour creates, using a restrained, austere composition, lighting, the scene is quiet, but the bright light of a single candle. In the second half of the nineteenth century, religious themes appear in art is relatively rare. Artists of the time are more interested in the surrounding reality. To historical scenes, images of myths, legends, and images of Scripture addressed only academic artists, to revive classical ideals, and the pre-Raphaelites, on the contrary, sought to return to painting. The Impressionists and post-Impressionists such stories took a little. In this sense, Paul Gauguin — an exception. In the unprepossessing hut tired Maria is resting on the bed, half-turned to the baby lying in the hands of midwives. Barely noticeable halos and the name of the picture is the only reference to the story that separates it from ordinary village life. But Christmas remains Christmas, regardless of the place of action, whether in Bethlehem, Tahiti or village in Brittany (this Christmas Gauguin began painting in 1894 and was finished in Tahiti). The familiar donkey and the ox Gauguin replace standing in the corner by the cows. The unity of the painting, the presence of the divine in everything is the equivalent of the artist that “God is neither a scientist nor logic, he belongs to the poets, the field of dreams, it is a symbol of Beauty and Beauty itself”.